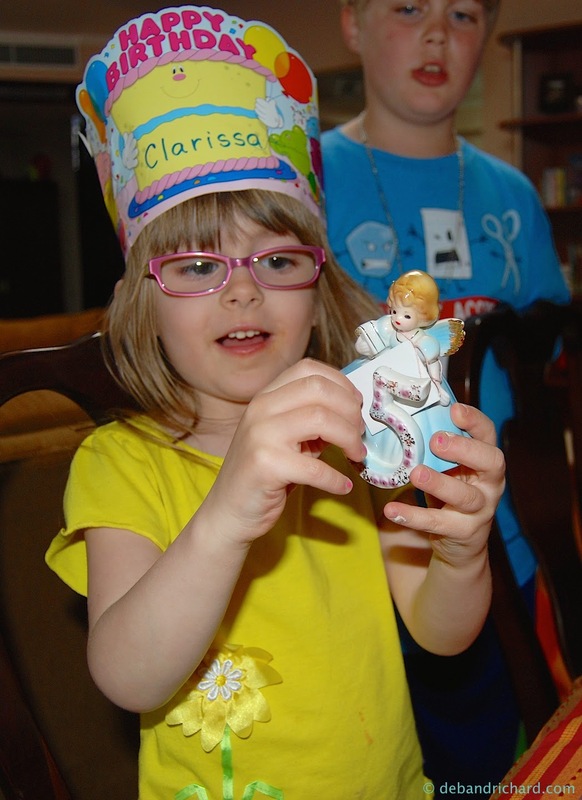 Clarissa turned 5 last week and is literally (and figuratively) a whole handful. 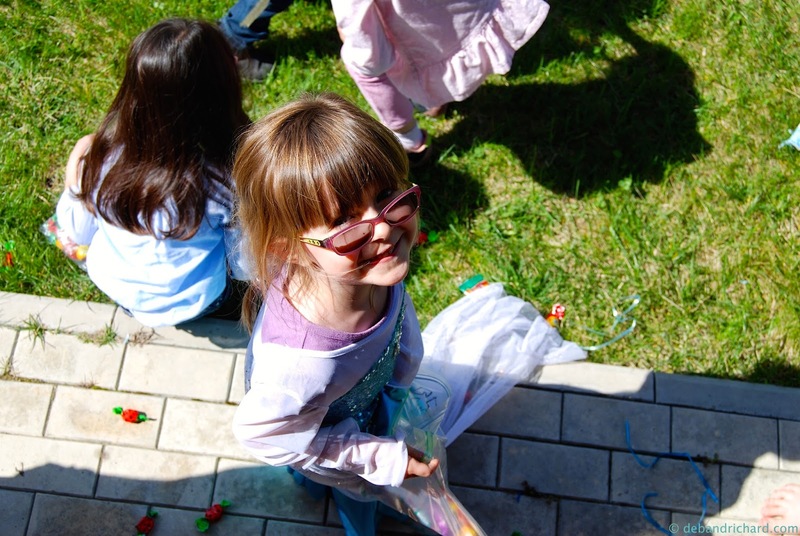 Last weekend, we had her birthday party on a welcomed warm and sunny spring day (followed by a week of rain and cold wind...seriously, it is almost May temperatures shouldn't be in the 40s anymore). 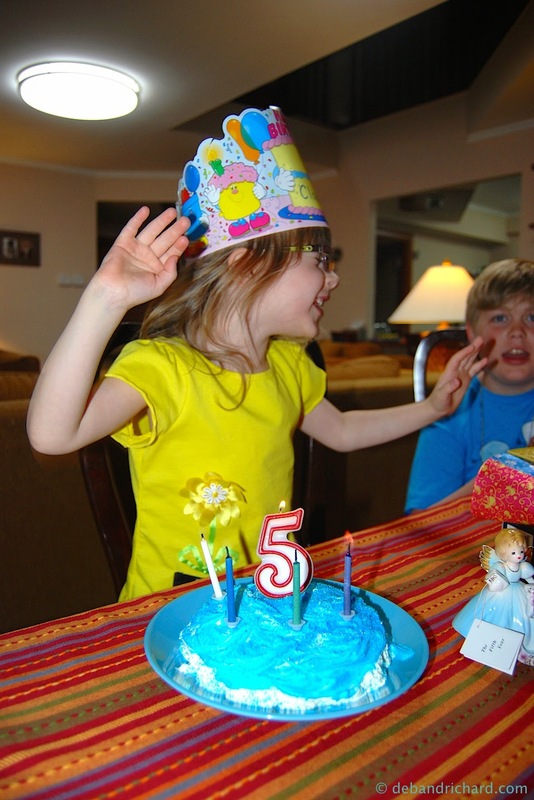 Given that she is turning 5, any guesses on the requested theme? 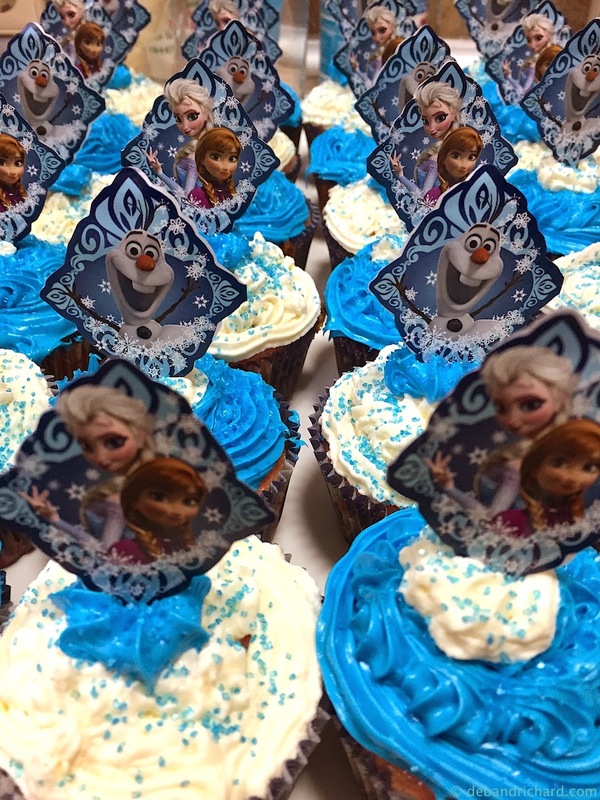 Can you imagine my "surprise" when she wanted a Frozen party? So first off the cake. When Mason was younger, I took a couple cake decorating classes at Michael's. Richard really enjoyed that time (making a cake once a week for a month)! So I enjoy making the kid's cakes at their birthdays. While they probably would not win me a spot on one of those cake baking shows, they don't fall into the Pinterest fail category. 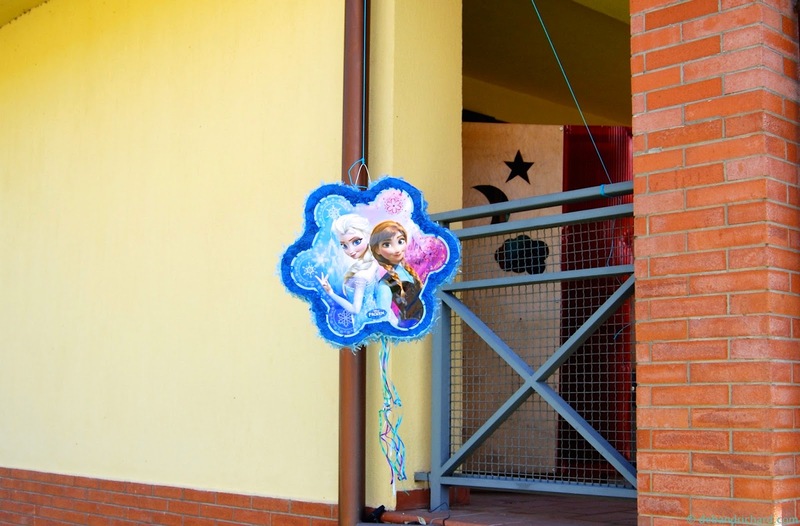 Clarissa wanted to have Elsa on her cake. So I looked around online for inspiration. I saw a number of cakes with ice palaces made of melted sugar. 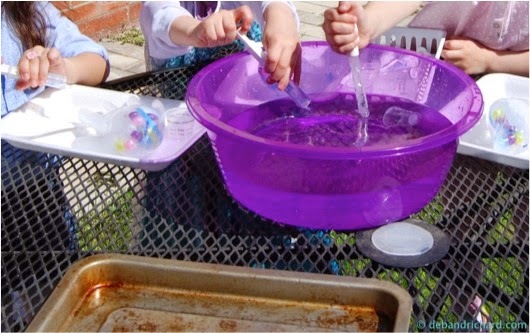 These ice palaces involved boiling sugar/oven drying for hours/etc.....I wanted quick and easy. I search some more to see if an idea I had was possible....found nothing. So I tried my idea anyway. 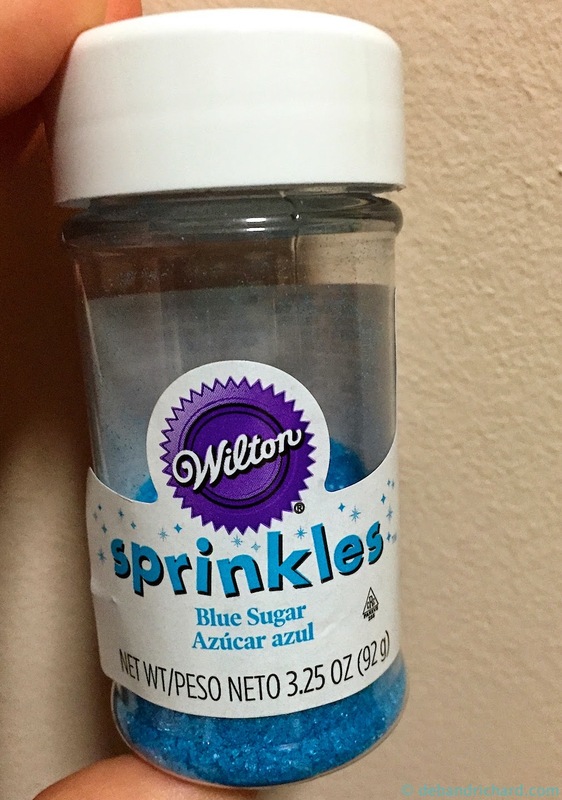 I took some Wilton sugar sprinkles (in blue of course). 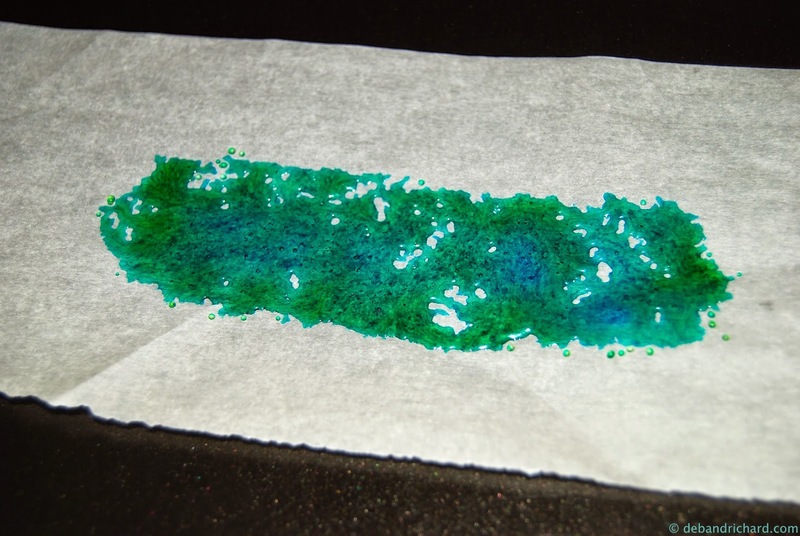 Sprinkled them on some parchment paper. 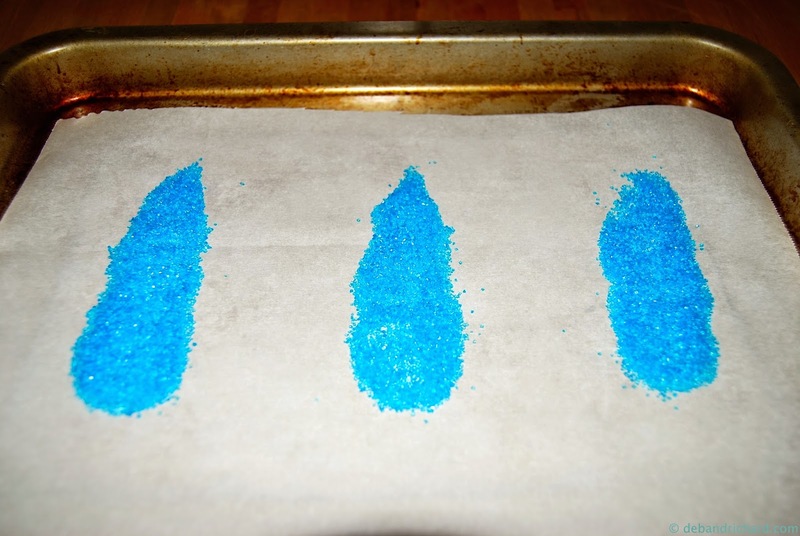 I then put them in our toaster oven set on 350°F for about 5-10 minutes (just until it was melted). After about 5 minutes, I had to watch the closely so they wouldn't get too green (very short window of perfect). 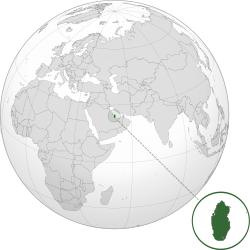 This is what I got. 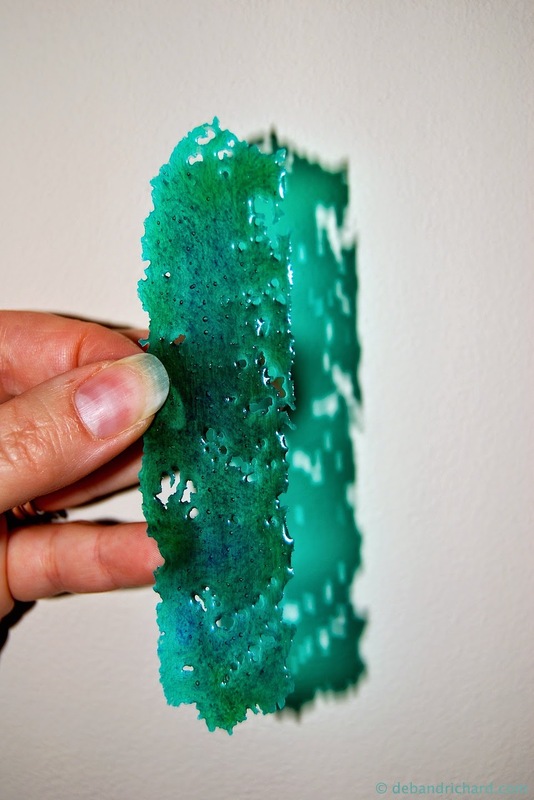 Blue - check, Icy Appearance - check, Sweet and Edible - check....that will work! I iced the cake with a homemade buttercream icing that was so sweet it made my teeth hurt the first bite I tasted, but Clarissa essentially only ate icing from her cake and happily kept asking for more. 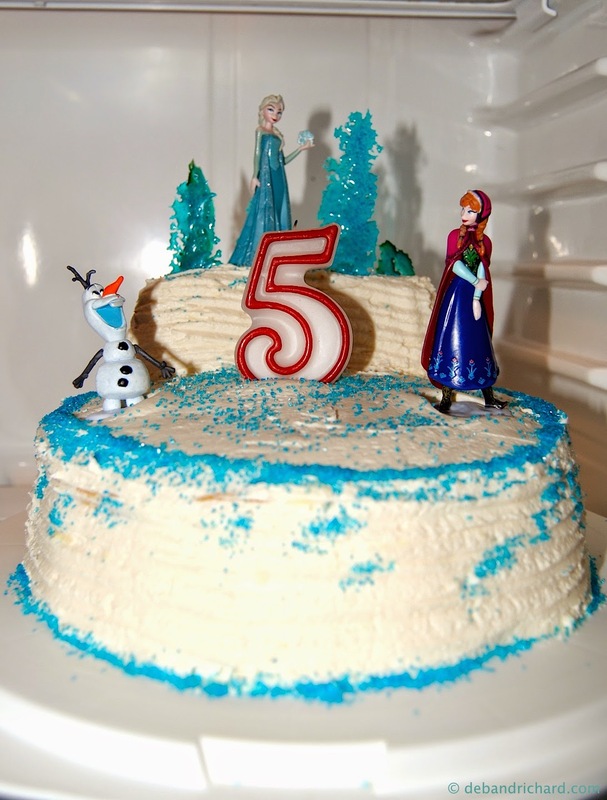 I placed Elsa, Anna and Olaf on the cake and added the 'blue ice'. Viola! 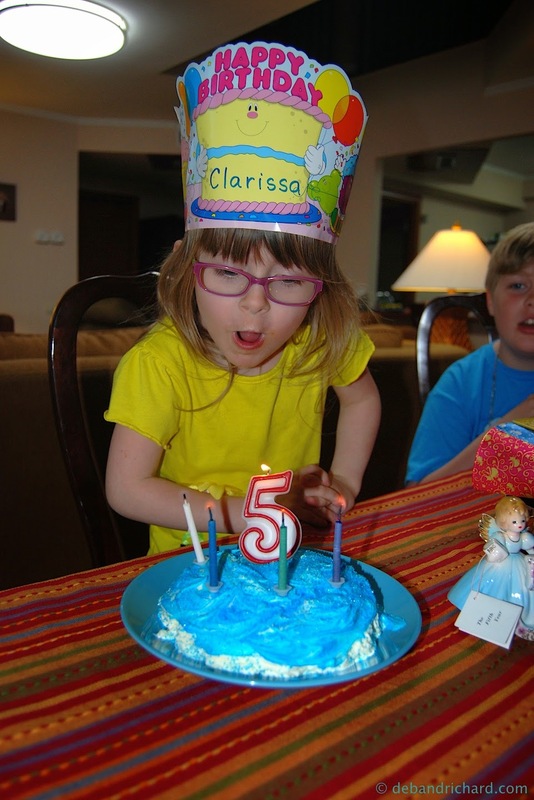 Clarissa appeared to be happy with the cake. After I decorated it on Friday, until her party on Saturday I caught her several times sitting on the floor with the fridge door open just smiling and looking at her cake. 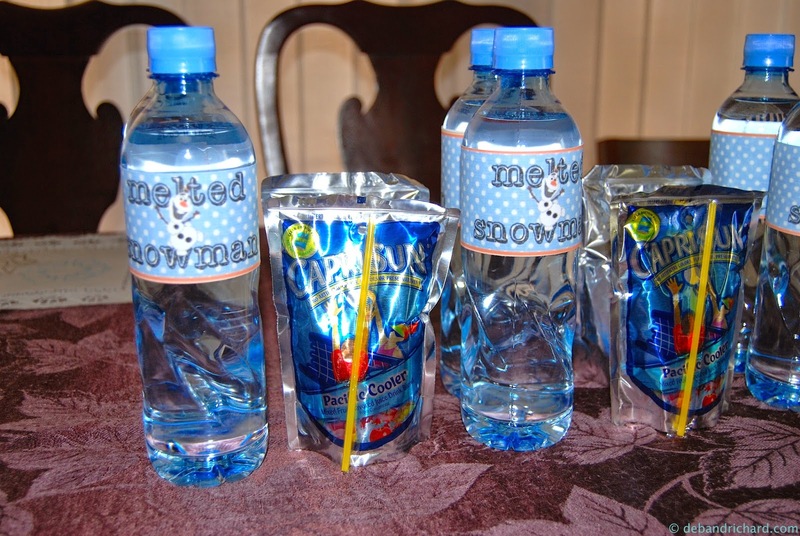 For drinks, I printed off some melted snowman labels from here and put out some capri suns. 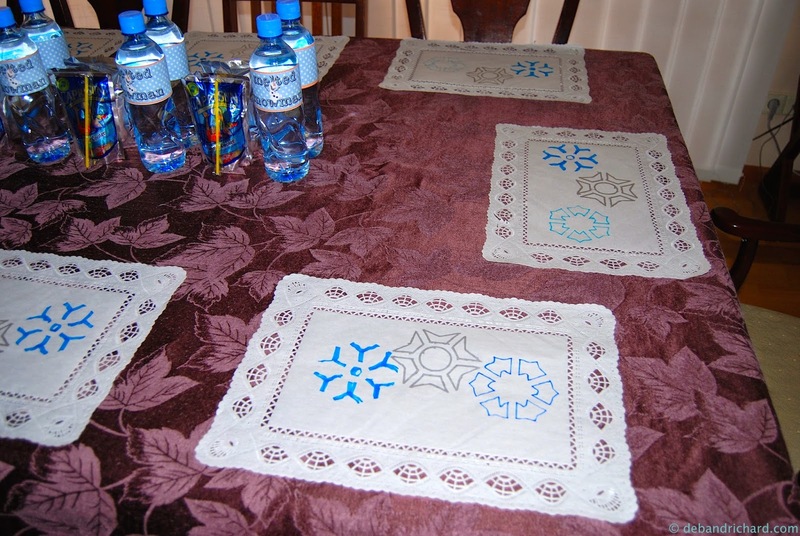 Given there are not any party supply stores, I bought some white placemats and decorated them using a snowflake stencil. 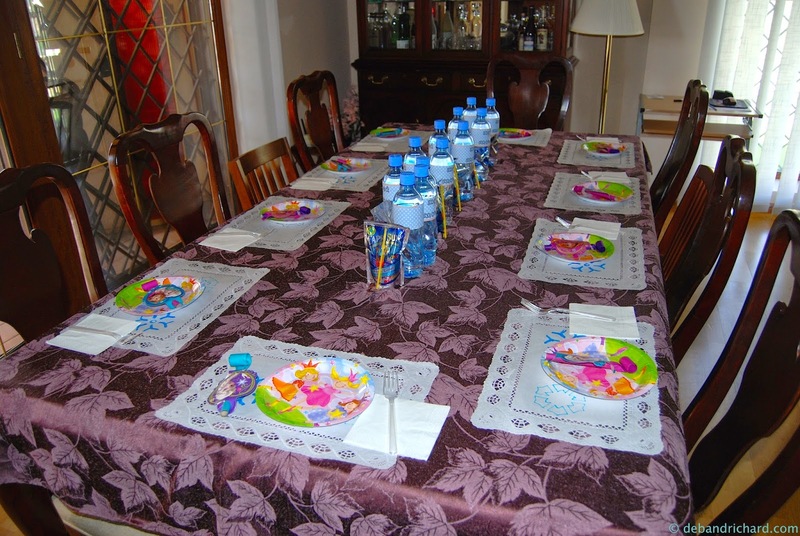 Table is ready for party time! 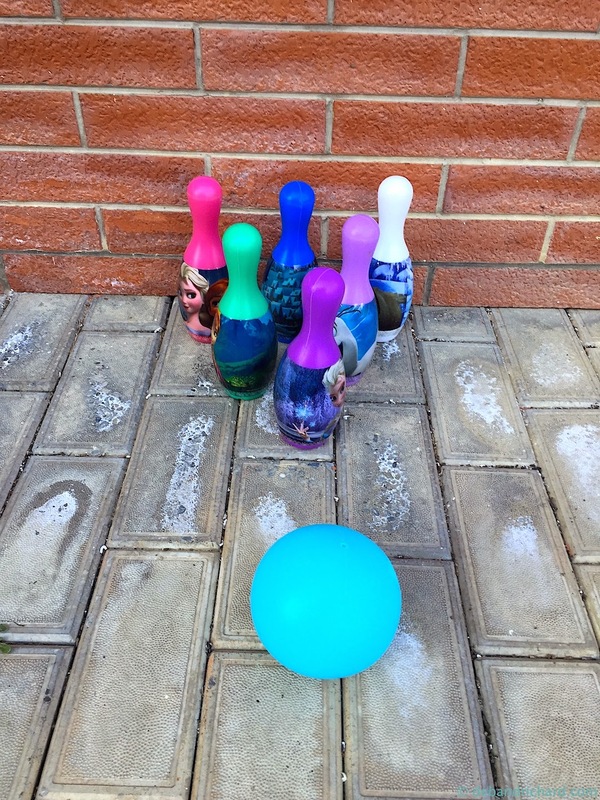 For party activities, we played with an Elsa bowling set. 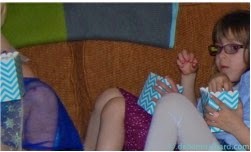 I stole a frozen hand activity idea from here and the girls used warm water, medicine droppers, and plastic knifes to melt Elsa's frozen hands. 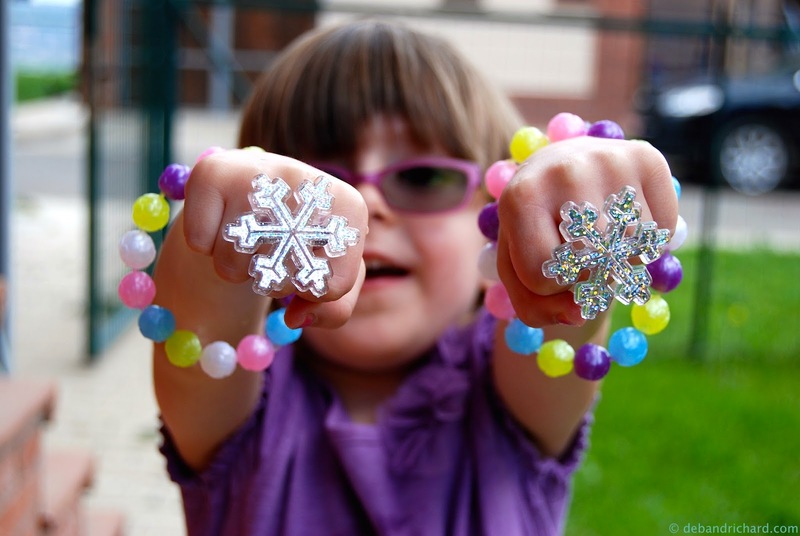 The treasures I hid in Elsa's hands were pop beads to make bracelets and snowflake rings. I had put some glitter and ribbon in them too. I found a Frozen lyrics scavenger hunt. I downloaded the clue cards with lyrics here. I gave Mason the job of leading the scavenger hunt. The final clue lead them to the den. We had popcorn served in cute popcorn containers I'd gotten here. 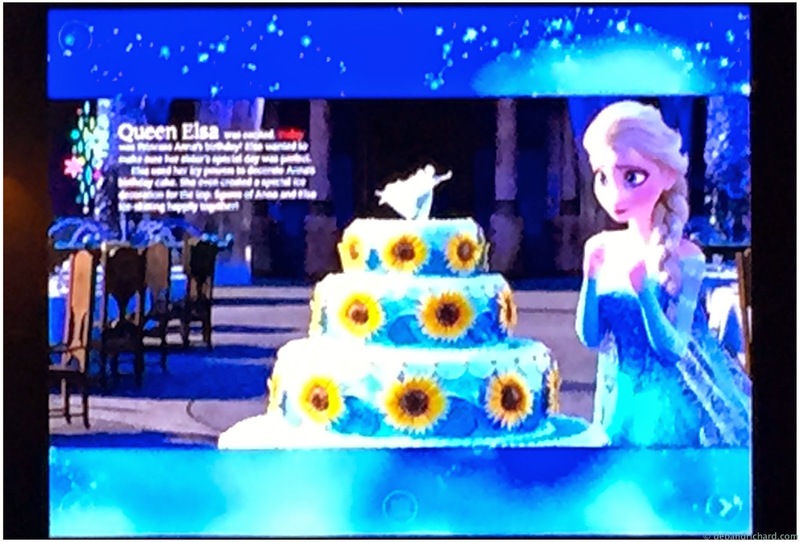 Using the Disney Story Central App, I downloaded the Frozen Fever book. I linked the iPad to the Apple TV and had the story read to the girls who piled on top of each other on the couches. 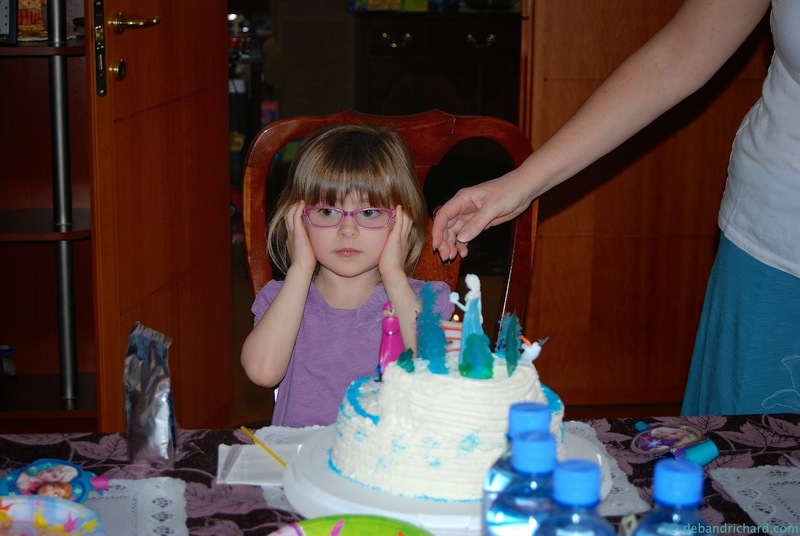 But quickly recovered after the cake was served. After her brother's party, Clarissa wanted a piñata. So I ordered one back in February....and it was one of the items that took a month to get here. We got the ribbon pull type....and of course the last sting pulled open the piñata. 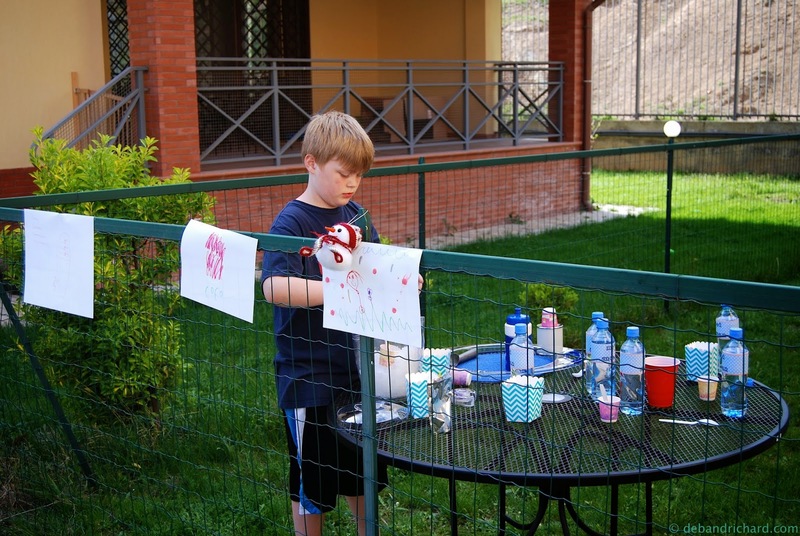 Finally, what Frozen party would be complete without sno-cones? 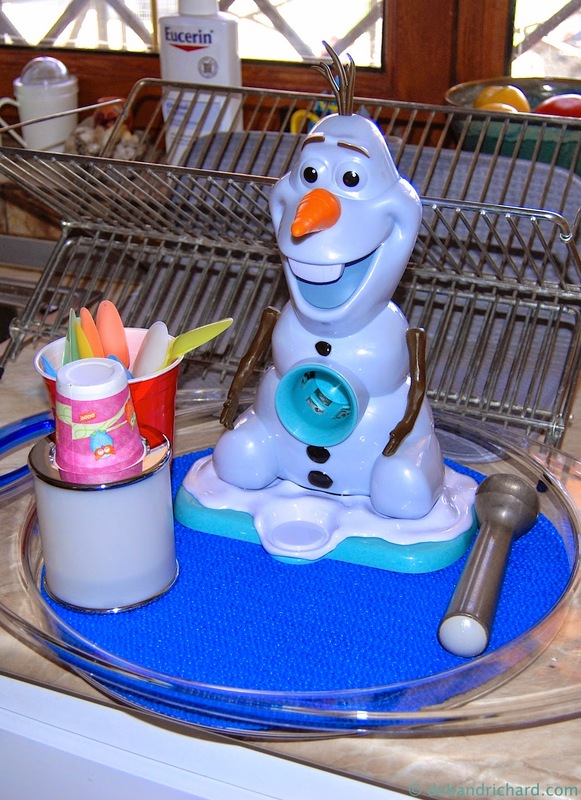 I totally cheated and used my salad shooter to crush most of ice, but Olaf was available for fun. Finally, since the little ladies had rings and bracelets from their Elsa hands and candy from the piñata, I made little snow man bags with snowman parts (marshmallows, pretzels, chocolate chips) for favors. I totally flaked and didn't a photo though. I downloaded the bag toppers from here. She said she enjoyed her party.....so that's all the matters. 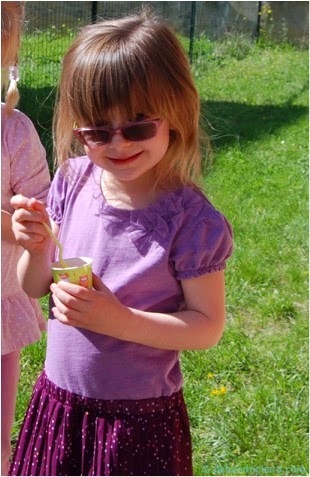 (Again, sorry for the creative cropping...don't want to upset anyone by posting photos of their kids online). So what does a big brother do with leftover crushed ice after a birthday party? 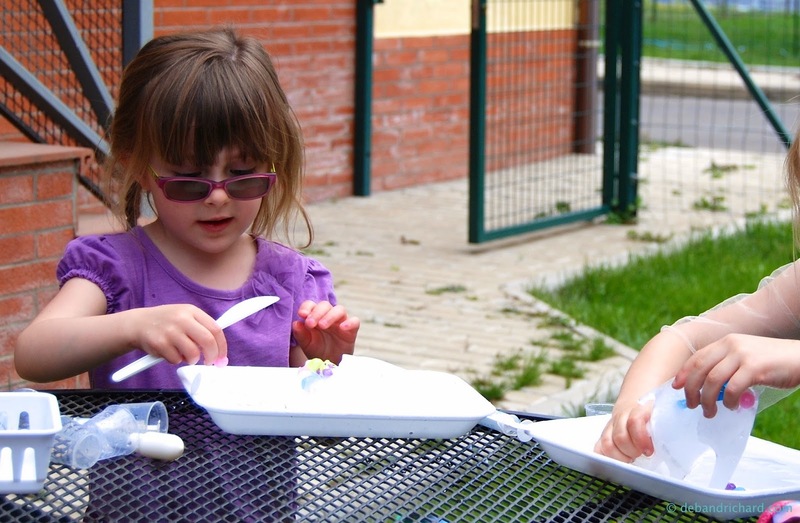 Make a sno-cone stand and starting knocking on doors to advertise.....I think Mason and sno-cone shop gang each made a couple lari after the profits were split. 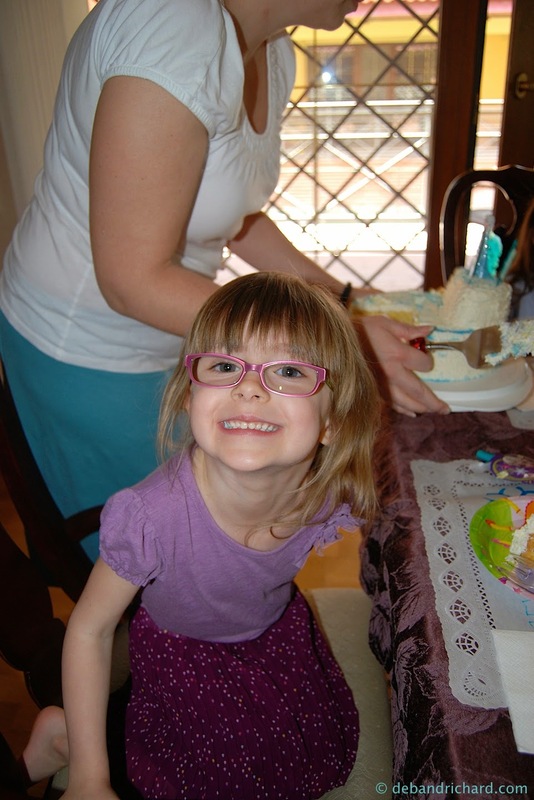 On Sunday, we let her open birthday gifts from grandparents/aunt & uncle. Then she had something to keep her entertained all day for part of the day. 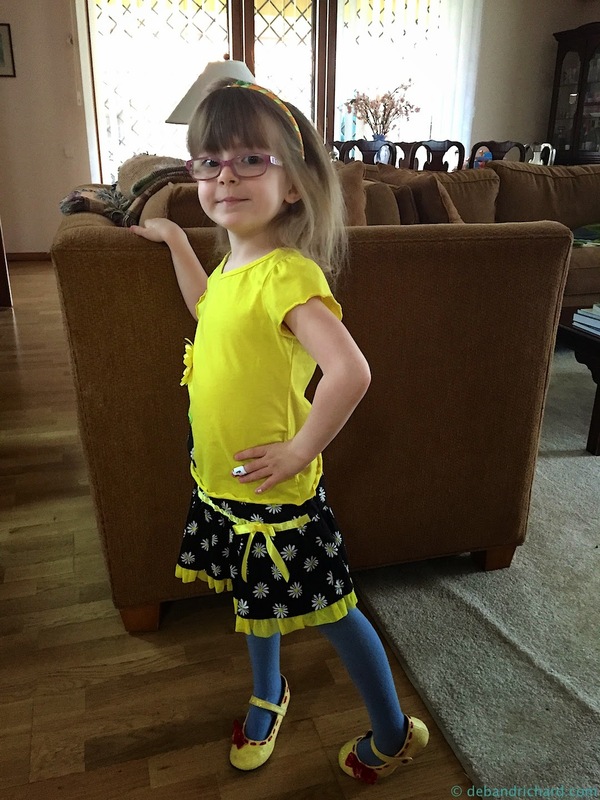 On her actual birthday, little bit got dressed up and took cupcakes to school to continue the celebration. After school, it was 'Take Your Child to Work Day' at Richard's office so we went to Daddy's work. Afterwards, she requested pizza from the man in the white car (aka Ronny's Delivery) for her birthday dinner. 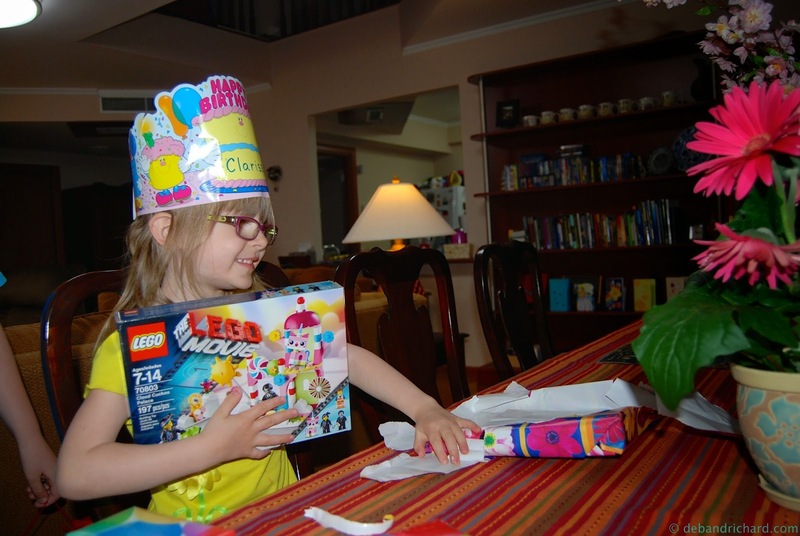 She then opened presents from Mommy & Daddy and had one more round of Happy Birthday. Almost 1/3 of the way through getting the annual hand me down figurines from Mommy. Busia gave them to me, now I am giving them to Clarissa (Mason likes to point out the unfairness that he isn't getting them or some sort of equivalent....). Rockin' out to Happy Birthday! With one last blow to the candles, the birthday festivities wrapped up. 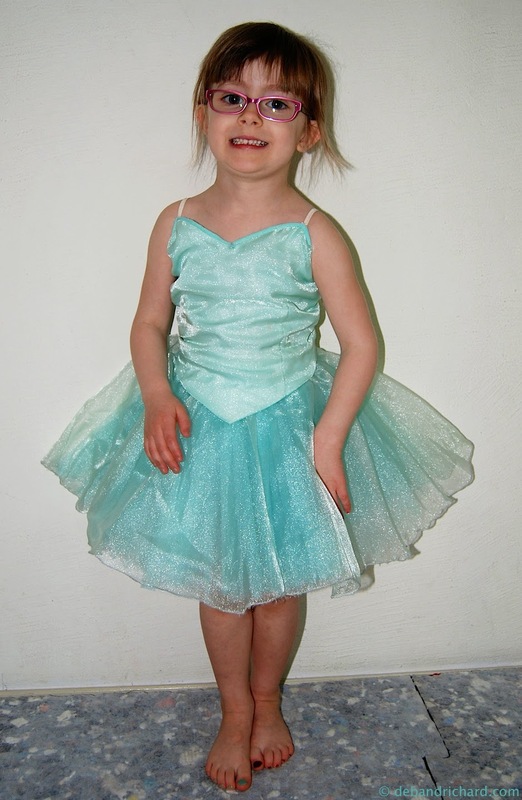 Hard to believe our little firecracker has been around half of a decade already and my oh my has she changed. Looks like a fun party! You did an awesome job on the cake!